“Lift your hips and press back into downward dog — I mean, downward cat,” instructs yoga teacher Adriene Holland, as the class of 15 or so students giggle and transition out of a plank pose to thrust their butts into the air. 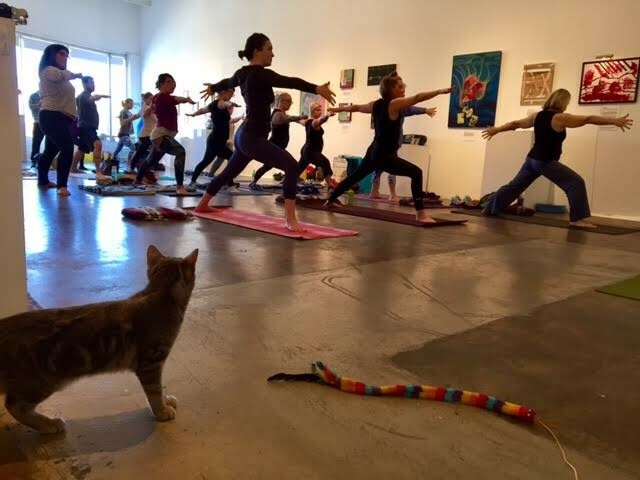 Holland, who teaches regular yoga and hooping classes at Co-Motion Studio, worked as many cat puns and feline phrases into her two 30-minute yoga sessions at Saturday’s Yoga with Cats adoption event at Crosstown Arts. Hands became paws, and of course, she worked in a little cat/cow pose. 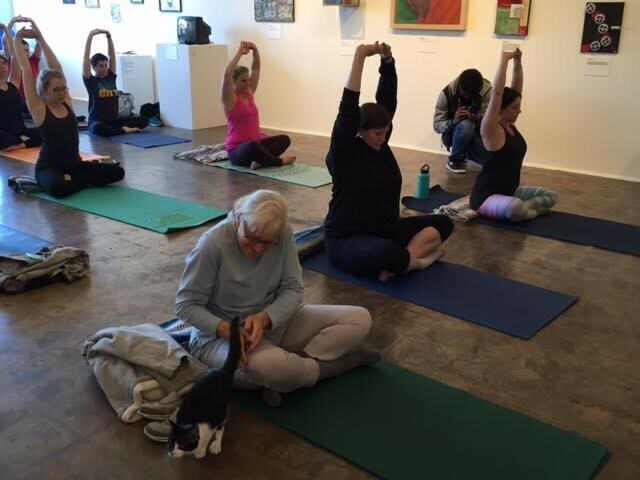 As she led the class, several adoptable cats from Memphis Animal Services (MAS) slinked around the corners of the art gallery. The event took place on the final day of Crosstown Arts’ We Need to Talk exhibition, which featured break-up art and artifacts from more than 40 local artists. Some of the artwork was humorous, but much of it — about broken marriages and broken hearts — had a bit of depressing feel. But with the combination of restorative yoga postures and free-roaming cats, everyone seemed to be in positive spirits. By the end of the event, which ran from 10 a.m. to 2 p.m., four of the 10 cats that MAS brought to the event had been adopted. 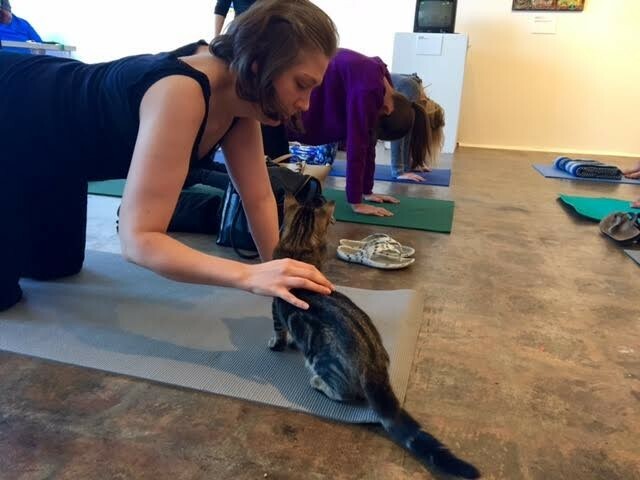 The hope was that the cats would be a little more participatory — maybe disrupting poses by laying on mats or curling up with students during the final corpse pose. In reality, the cats didn’t start to warm up to new people and a new environment until the end of Holland’s second class. 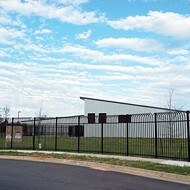 Several chose to stay in their kennels, but volunteers from MAS stayed on the sidelines of class, coaxing a few of the more sociable kitties to get more involved. 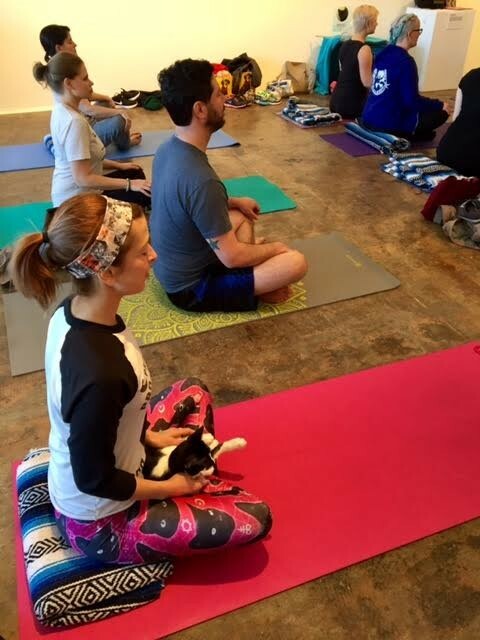 A few cats allowed students to hold them as they sat in seated postures. 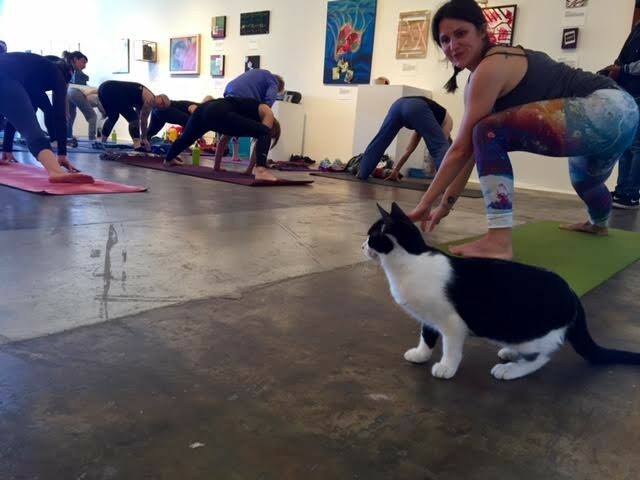 By the end of the second class, a black cat named Zepp tucked underneath one student’s hips as she lay in a supine twist (back on the floor, knees bent, and lying to one side) (Former Flyer staffer Bianca Phillips the communications coordinator for Crosstown Arts.) .